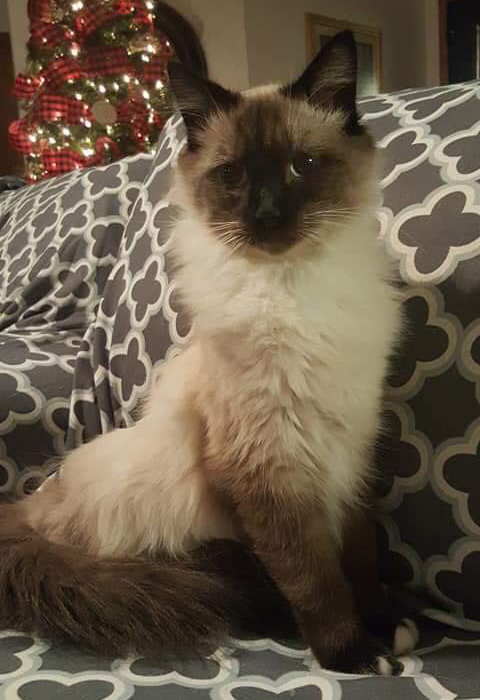 Sweet 9 month old long-haired Siamese. OK with older kids but not young children. Shy at first, but warms up quickly!